Air Canada has dropped the price of their non-stop flights from Toronto to San Francisco, California down to $355 CAD roundtrip including taxes. It's become fairly common to see excellent prices on non-stop flights from Toronto to Los Angeles and San Diego in the past year or so. Usually for around $350 CAD roundtrip. 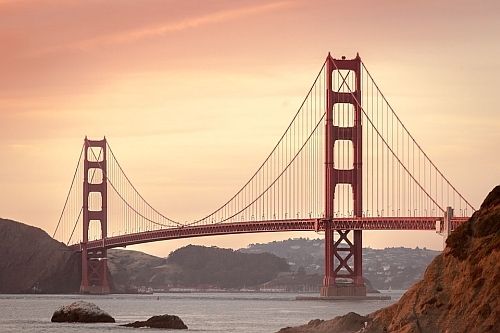 But non-stop flights from Toronto to San Francisco for a great price are still pretty rare. - look for the dates that are $371 roundtrip. On Priceline, the price will show up as $281 USD. Priceline is *always* in $USD. This will work out to $355 CAD roundtrip when booked with a Canadian credit card, and factoring in the typical credit card foreign exchange fee. toronto, yyz, flight deals, united states, air canada, san francisco, california and sfo. 4 Responses to "Toronto to San Francisco, California - $355 CAD roundtrip including taxes | non-stop flights"
Thanks for posting these sales. I have a question regarding these prices. What if you only want to go one-way. Say you book the return but don't use it? My son is going to travel extensively and he's starting with a trip to LA and goes outward from there. No return to Toronto for months. Can he just not show up? Are there penalties? The airlines automatically cancel any unused legs of your ticket if you intentionally miss a flight. But if the first flight is all you want to use, and don't care about the rest of the flights on the ticket, you certainly can just let the return portion of the ticket go unused. There's no penalty, you've already paid for the ticket. But to Los Angeles or San Francisco, you should be able to find a one way flight for less than the roundtrip price. Is this deal no longer available? I followed the instruction but was unable to find a round trip for anywhere near $371. It looks like they have gone up in price. The cheapest non-stop flights are now $451 CAD roundtrip.